I'm back with a couple more projects using Studio Calico November kit Walden along with the Wreath and Holiday & New Year's stamp sets. 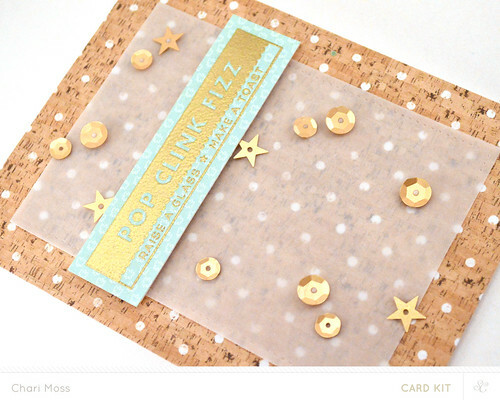 I really love the stamps in the Holiday & New Year's stamp add-on, especially this one that says Pop, Clink, Fizz. I paired it with the cork paper which I thought was appropriate. I gold embossed the stamp on the mint colored paper. 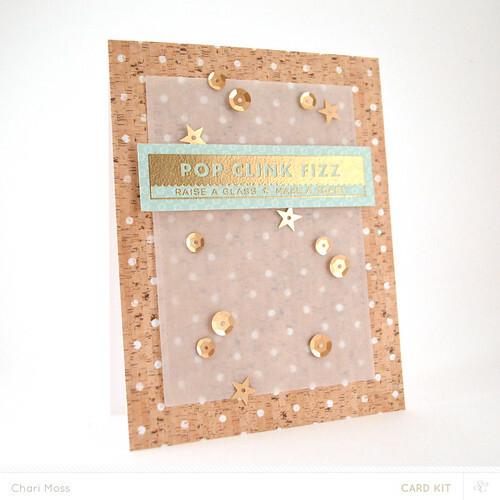 I added vellum and gold color theory sequins to mimic bubbles in a champagne glass. 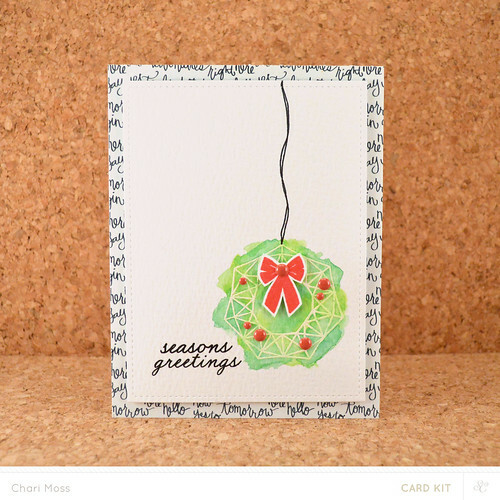 This card has white heat embossing for the wreath with watercoloring over top of it. 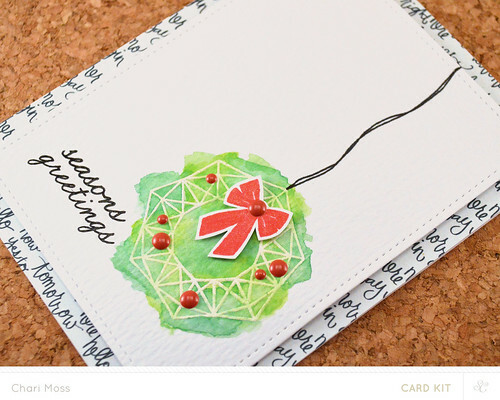 I think this has a cool artistic look that goes perfectly with the modern design of the wreath. I wanted to the wreath to be the color focus of this card to I paired the panel with the black & white text paper from the Walden kit. I added Color Theory red enamel dots for the berries and stamped the bow with Color Theory Well Red ink and cut it out to finish off the wreath. Very pretty cards...love the gold theme on the first and the watercolouring on the last.